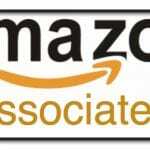 Amazon Affiliate Program Review - Make Money with Amazon Associates? In simplest terms, the Amazon affiliate program is a platform that allows you to earn commissions for referring people to Amazon through your website or social media. What Makes the Program So Popular? As I mentioned above, you can barely enter any kind of affiliate marketing community without someone mentioning the Amazon affiliate program, but what makes it so popular? In my opinion, the popularity of the platform is due to several reasons. One of the biggest challenges that new affiliate marketers face is getting approved for an affiliate network. This is largely because most newcomers to affiliate marketing have brand-new websites that aren’t getting a whole lot of traffic yet. The good news, even with very little traffic, you can still get approved to join the Amazon affiliate program. So long as your site is within the terms of service for Amazon, you can quickly and easily get in. Once you’re in, all you must do to stay eligible is make at least one sale every 90 days. In the grand scheme of things, this is an easily accomplished feat regardless of your Internet marketing knowledge level, but you can drastically increase your odds of success by following a proven method like the one I personally follow and recommend. The application process is very straightforward and simple to follow, and approval is often granted within 24 hours of application. Because Amazon operates globally, you can join the affiliate program just about anywhere. Best of all, Amazon has multiple sites in countries all over the world. So, it is important that you check to see if your area of the world has its own version of Amazon. In the past, there were several states that could not participate in the program, but as of now, residents of all 50 states in the US can sign up. This is great news as many affiliate marketers will tell you that they earned their first commissions online through the Amazon platform. How Much Can You Make as An Amazon Affiliate? This is where things get a little bit tricky as you will hear vastly different numbers from numerous internet business owners. There are several reasons for this. First, different product categories pay different commission percentages. For example, if your niche is video games or consoles, you’ll only earn 2% commissions on items in that category. 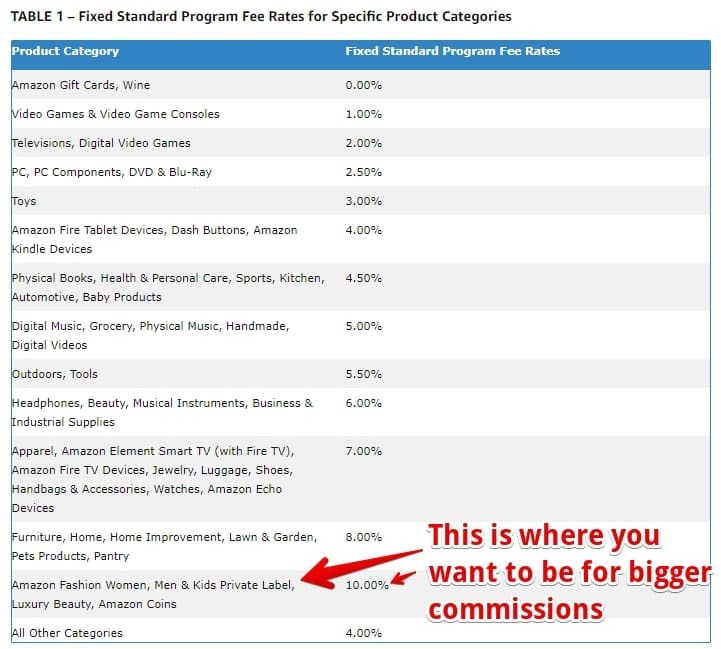 On the flip side, there are several categories that pay out as much as 10% commissions. If you’d like to learn more about which categories pay the highest commissions on Amazon, you can check out this post. The second thing that will determine how much you can earn with the Amazon affiliate program is the availability of the products that you’re recommending. Let’s say you’ve selected home cleaning tips to be your niche. On your website you are giving reviews on some of the best cleaning products and accessories on the market. You would quickly be able to see how product availability could affect your earnings based on the kinds of products you’re recommending. For example, if you recommend something like Windex, you probably aren’t going to have many sales. This is largely because you can pick Windex up at almost every gas station, dollar store and big box store. Since there really isn’t that big of a difference in price, often your website visitors will opt to just pick their Windex up the next time they see it at a local store. However, let’s say you’ve created a review on the newest Roomba vacuum cleaner. Roomba’s are much harder to find in local stores. So, if your audience is interested in picking up a Roomba, they’re probably going to be willing to buy one online. Selecting the right niche and the right products to promote on your site are crucial parts that will affect your overall earnings potential. The good news, with the right mix, there is no ceiling as to how much money you can earn. In fact, many Amazon affiliate members have seen earnings as high as 6 or even 7 figures annually. There are certainly a lot more pros than cons with this program, but there are still a few. Even if you aren’t seeing a lot of traffic to your website or social media accounts, you can quickly and easily sign up to join the affiliate program. Amazon has always placed their brand image front and center. Because of this, they’ve built a very trustworthy brand over the years. Now, everyone has heard of Amazon and most people have made a purchase from the site before. No matter what niche you may be in, there’s a product on Amazon that could benefit your audience. 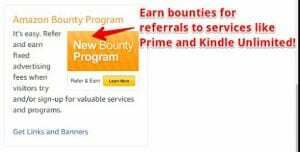 Thanks to their bounty program, you can even earn money for signing people up to services like Amazon Prime, Kindle Unlimited, Twitch Prime, and more. 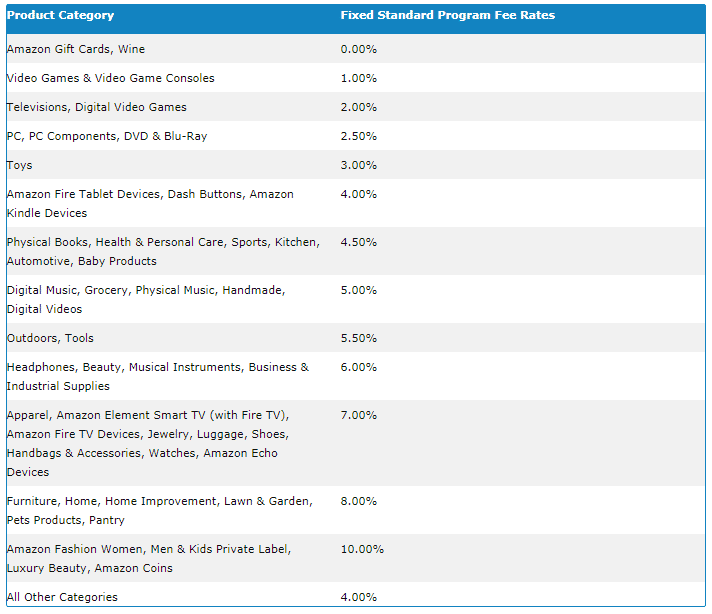 The majority of categories on Amazon pay 5% or less. The good news is that you can easily offset lower percentages because Amazon pays you for everything purchased and most people will buy other items while they shop around the site. When someone clicks your link, you only have a 24-hour window to earn a commission for the products they purchase. If they return to Amazon a week after reading your review, you won’t earn a commission for the sale unless they took the time to add products to their cart when they visited before. Overall, you’re going to be hard pressed to find another platform that is willing to give you commissions on all items purchased instead of singular products. Amazon’s affiliate program really is unique as it allows you to promote physical and digital products while earning commissions for any and every niche you can think of. While they do have lower commission percentages than other programs, you are still going to most likely want to add some Amazon affiliate program links to your own sites. You may be surprised to see just how quickly you generate revenue and just how much revenue it can be. Especially if you’re part of a powerful community who all have the same goals of creating a successful online business as quickly as possible like the one I’ve been a part of for more than 11 years now. There are a lot of very successful affiliate marketers out there who will tell you that Amazon is where they earned their first commissions and that they’re still earning them now with no plans to stop any time in the future.